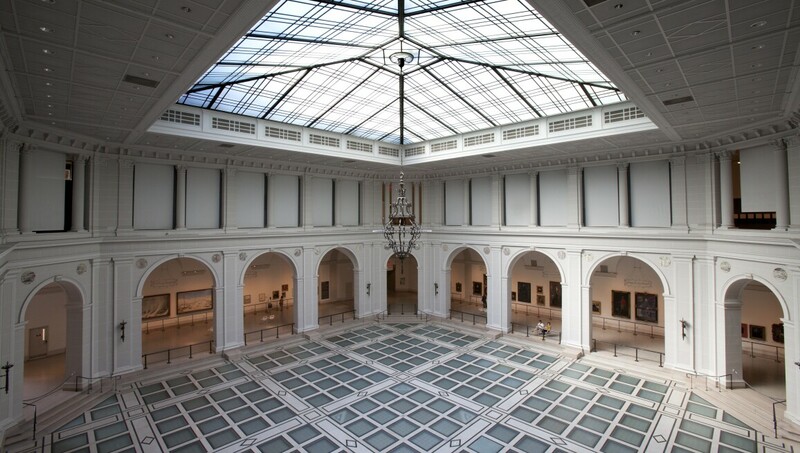 Housed in a 560,000-square-foot Beaux-Arts building, this is one of the oldest and largest art museums in the United States. Boasting world-renowned and diverse permanent collections, the Brooklyn Museum spans the gap between ancient and contemporary and Western and non-Western. Ongoing presentations, as varied as the vast Egyptian section and the impressive American art galleries, are also an important draw. Another permanent highlight is the museum’s Elizabeth A. Sackler Center for Feminist Art, where Judy Chicago’s Dinner Party has been on view since 1980. The Brooklyn Museum is a dynamic institution with compelling contemporary art exhibitions and programming that are as innovative as they are diverse. Brooklyn Museum, Gift of Iris and B. Gerald Cantor. Brooklyn Museum, Carll H. de Silver Fund. Photo: Sarah DeSantis, Brooklyn Museum.